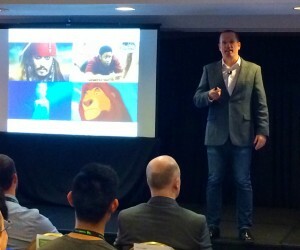 Jeff Preston is the senior SEO manager at Disney Interactive. Disney Interactive includes the company’s websites, video games, mobile apps and more. In the “Getting Things Done the Enterprise Way” session at Search Engine Summit in Santa Monica, Preston discusses the criticality of technical excellence, team culture, winning influence and more. Get the full story. Mindy Weinstein, director of training at Bruce Clay, Inc., shares three pieces of advice for creating content when businesses are “boring” or topics are not usually addressed in polite company. Read on to find out the importance of developing real life stories, keeping your eyes open for inspiration, and focusing on being practical and persona. 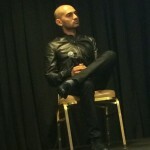 Neil Patel is the co-founder of CrazyEgg and KISSmetrics, analytics and conversion optimization tools and platforms. He’s been doing business online for 11 years and he does at least four new A/B tests a month. He’s a CRO master. A lot of businesses aim for one thing: driving traffic. Long-term ethical traffic driving tactics costs a lot of money. If you can optimize your conversions, you’re going to make more from the traffic you have. How to think about conversion optimization the right way. This will help you get more wins. How to come up with tests. Create tests based on what you see as problems, not based on what you want. Tests have to be data driven. Suggestions on tests you can run that should help boost your conversion rate. Read on for Patel’s six unorthodox conversion tactics.